Purpose: The purpose of the study was to demonstrate the relationship between bone marrow edema of the mandibular condyle and osteoarthritic changes of the temporomandibular joint (TMJ) in a group of symptomatic patients using magnetic resonance imaging (MRI). 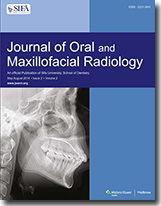 Materials and Methods: MRI data of 96 TMJ dysfunction patients were investigated for association between bone marrow edema of the mandibular condyle and TMJ osteoarthritis. Chi-square test was used for statistical analysis and P values less than 0.05 were accepted as statistically significant. Results: There was statistically significant association between osteoarthritis and bone marrow edema of mandibular condyle. Conclusion: Bone marrow edema of the mandibular condyle appears to be a predictor of TMJ osteoarthritis. 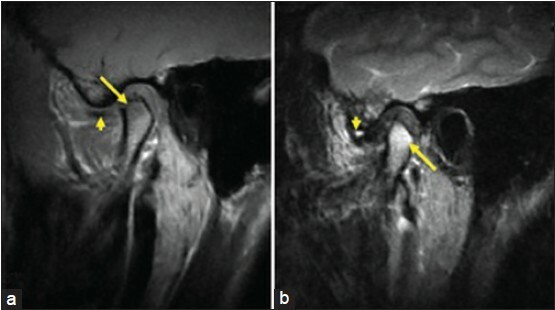 Further histology-based MRI data are needed to improve our understanding of the pathophysiology of TMJ osteoarthritis. Objective: The objective was to survey dentists in Jeddah, Saudi Arabia (in government and private sector) to assess their level of knowledge on dental radiography, radiographic equipment and radiation protection, and to evaluate if current dental radiology practices are in accordance with guidelines of UK. Materials and Methods: A survey questionnaire (English and Arabic) containing 15 questions was delivered by hand to 462 dentists. It contained questions on intraoral techniques, image receptor, collimator, film speed, processing, viewing mode, kVp, panoramic equipment, lead apron, person taking radiographs, radiation monitors, and local dental radiology manual. Results: A total of 373 (81%) dentists responded to the survey. Results show a lack of awareness in radiation protection and dose reduction techniques. A high proportion of respondents did not know about, film speed (45%), collimator type (42%), kVp of intraoral equipment (31%), and local dental radiology manual (66%). Further, only 13% use rectangular collimator, 55% use beam alignment, 25% use D speed film, 10% use background light for viewing, 7% of intraoral equipment is operated at 50 kVp, and 21% use digital intraoral equipment. 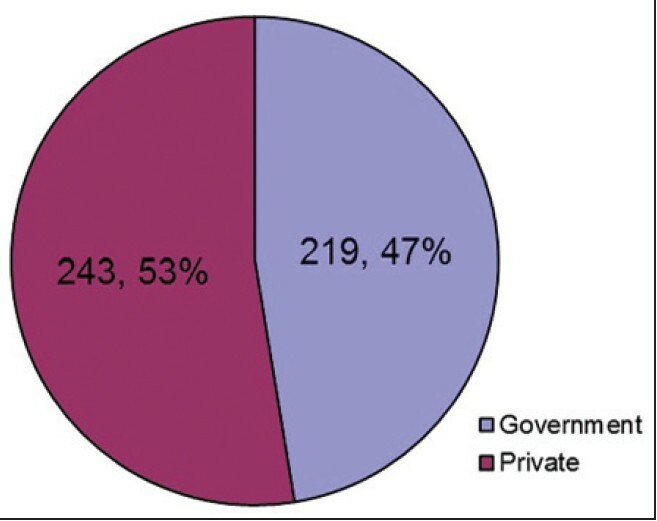 Only 20% of the government sector dentists are directly involved in taking intraoral radiographs compared to 52% in the private sector. Responses from the government sector showed a higher proportion of "do not know" answers compared with the private sector. Conclusion: It is required to implement internationally recommended standards to improve awareness and knowledge among dentists regarding dental radiography and radiation protection. Furthermore, improvement in undergraduate education level and establishment of postgraduate courses on dental radiology are strongly recommended. Radicular cysts are the most common cysts of the jaws. They are localized on the apex of the teeth with necrotic pulp. They are classified as inflammatory cysts. Radiographically, they appear as an oval radiolucent lesion with well-defined radiopaque border. They develop slowly, and asymptomatic unless infected. Because of this they can reach big dimensions. 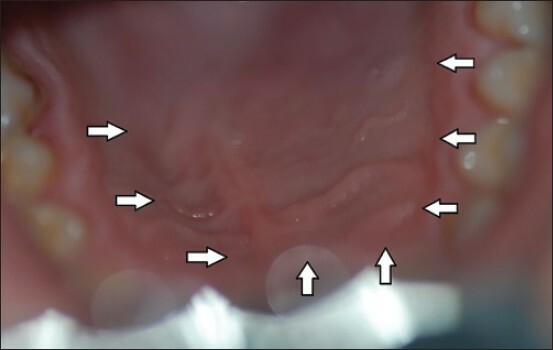 Intraoral examination of an 21-year-old man revealed a fluctant swelling on the palatinal and vestibular mucosa of the incisor-canine region. Radiographic examination revealed well defined and uniformly radiolucent lesion present between the left and right molar regions. The lesion was extending to nasal cavity and left and right maxillary sinus regions. The result of the histopathological examination was reported as radicular cyst. 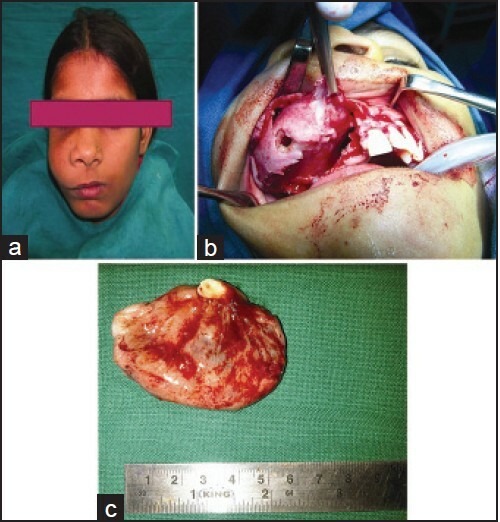 In this report it was aimed to present a giant radicular cyst case. Aneurysmal bone cyst (ABC), is a rare benign osteolytic bone neoplasm of bone tissue characterized by several sponge-like blood or serum filled, generally non-endothelialized spaces of various diameters that can contain osteoid tissue and osteoclast-like giant cells. 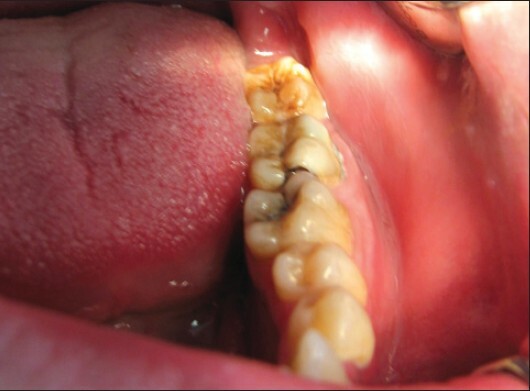 In this article, we describe a case of ABC in the mandibular corpus region with clinical, radiological and pathological findings and review the literature concerning the case. A 23-year-old male patient attended to our clinic with the complaint of a mild-pain on the left posterior lower jaw since two months. The superior margin of the lesion was extending between the apical third parts of the roots of the teeth 35-38. Cone beam computed tomography (CBCT) was performed. CBCT Slices revealed an expansile lesion with hydraulic-appearing outer margins above the mandibular canal. Excisional surgical treatment was performed after raising a mucoperiosteal flap and finalized with curette of lesion under local anesthesia. Diagnosis of aneurysmal bone cyst was confirmed by histopathological evaluation. The patient was pain free after six months follow-up, and panoramic radiography showed no evidence of recurrence. The ABC is most common in those regions of the skeleton where there is a relatively high venous pressure and high marrow content. Clinical presentation of the ABC varies from a small, indolent, asymptomatic lesion to rapidly growing, expansile, destructive lesion causing pain, swelling, deformity, neurologic symptoms, pathologic fracture, and perforation of the cortex. As the radiologic and clinical presentation of ABC is extremely variable, histopathologic examination is placed a great emphasis on for the diagnosis. Adenomatoid odontogenic tumor (AOT) is an uncommon nonaggressive tumor of the odontogenic epithelium with duct-like structures and varying degrees of inductive changes in the stroma. It comprises only 0.1% of tumors of the jaw and 3% of all odontogenic tumors. The majority of the cases (88%) are diagnosed in the second and third decades of life. The incidence is higher in males than in females. The tumor has a predilection for the anterior maxilla, most commonly associated with maxillary canine; however, involvement of the maxillary antrum is extremely rare. 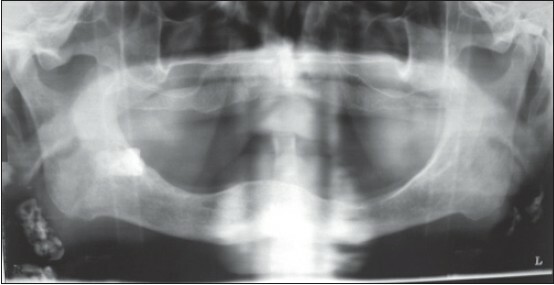 We report an unusually large AOT of the maxilla along with the computed tomography images in a 17-year-old female patient encroaching the maxillary sinus, orbital floor, nasal septum, ethmoidal sinus on the right side. It was also associated with an impacted canine. 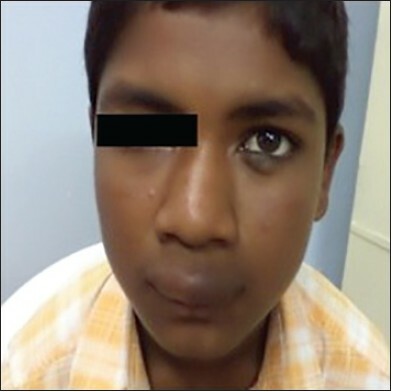 The patient was subjected for complete enucleation along with the removal of the impacted tooth. To the best of our knowledge, it is the first time that such a large AOT with involvement of the ethmoidal sinus has been reported.